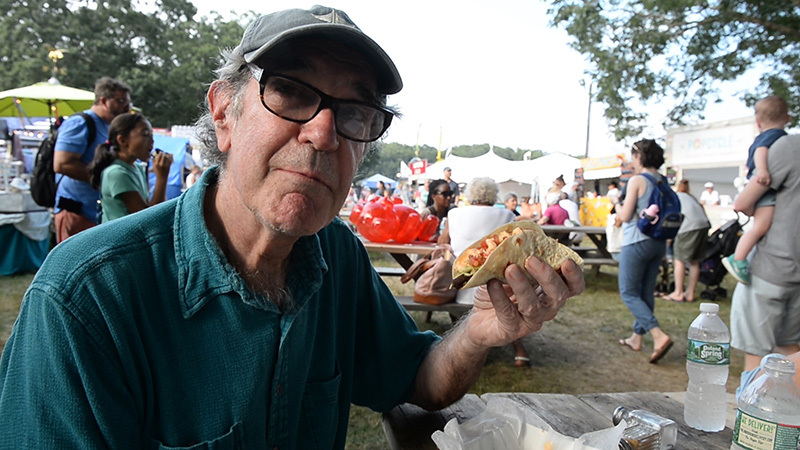 An intrepid reporter does his best to devour a fair’s worth of food. Last Friday afternoon I went to the Ag Fair and indulged in what could only be described as stunt eating. In the interest of culinary science, I cut a swath through the food court of the fair, and downed the equivalent of about three dinners in an hour and a half. There’s a reason my wife calls me the Seagull — she says I’ll eat anything. I was accompanied by MV Times photographer Caroline Brehman, who did her best to keep up, but in all fairness, she was no match for the Seagull. Since it was a hot and muggy afternoon, I decided to start with a little frozen treat. I’d been reading about Popcycle, and decided to give one a try. 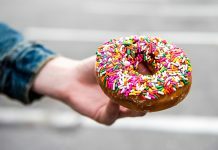 Noah Goldberg, the 17-year-old entrepreneur who started Popcycle, claims the reason her frozen desserts are so good is that they’re imported from New York, where all the best food lives. I had the pink limeade popsicle for $4, and I’ll give it high marks. But on my way out, I noticed popsicles from Gourmet Frozen Desserts that were made from ingredients all sourced on the Vineyard. Next year we’ll have a showdown. 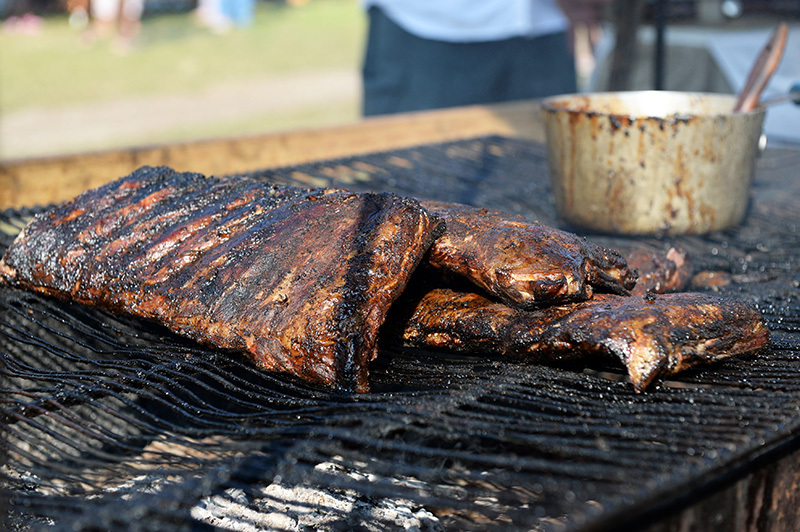 Now it was time to get down to some serious eating — ribs. The smell emanating from Barbecue Bill’s left no doubt where we’d find them. 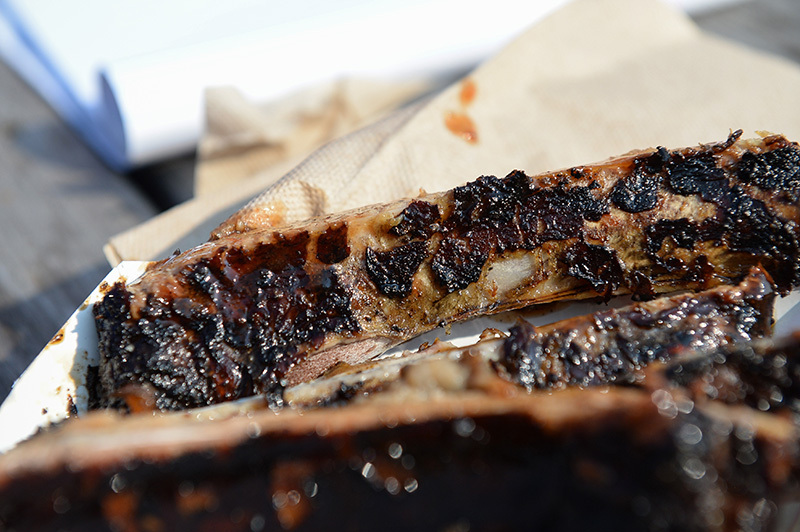 Bill’s had racks of beef and lamb ribs; I went for a half-rack of pork ribs, $12. It was a great choice … nice smoke… melt in your mouth — Caroline thought they could do with a little more sauce … perhaps. While I was standing in line for some chowder, Caroline got a lemonade at Huff’s Kettle Korn. I have to admit, I’ve never had kettle corn, let alone “Kettle Korn,” but from what I could see, it looked like some sort of fancy popcorn and that didn’t really appeal to me after having just ingested a rack of ribs, but I did have some lemonade. 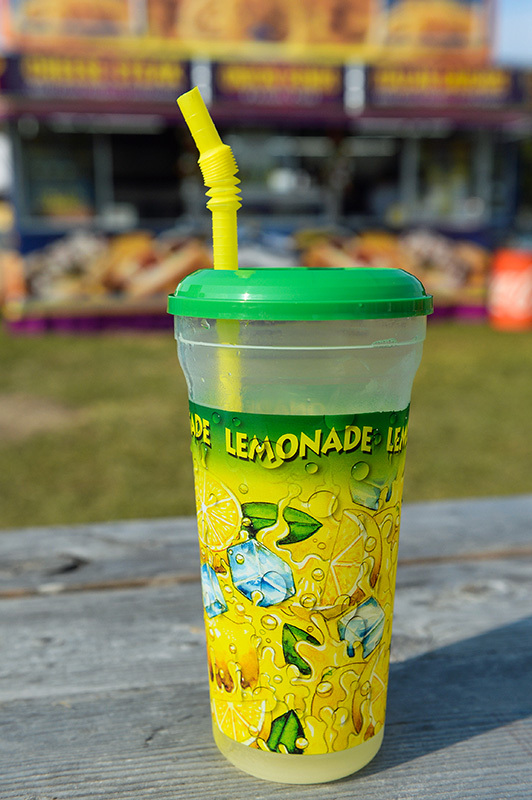 It came in a brightly designed plastic cup — other than that, it was pretty ordinary. 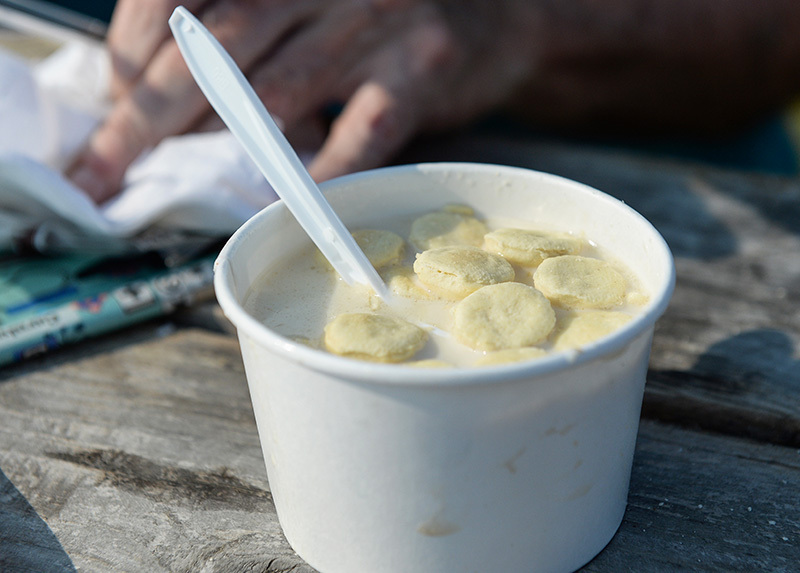 Bill Smith had a nice-looking lobster roll for $14, which seemed like a pretty good price, and it was very tempting, but I decided to go with a cup of quahog chowder for $4. I like the fact that it didn’t have that real thick kind of base that you could stand your spoon up in, more of a simple milk/cream base with a fair amount (see what I did there) of quahogs. 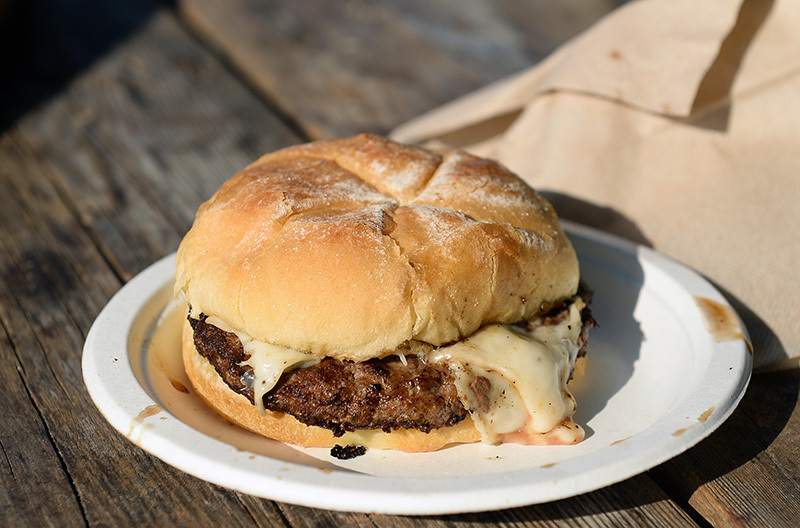 With a little quahog chowder still glistening on my chin, I beat a path straight for a Fireman’s Burger (cheeseburger, $5). 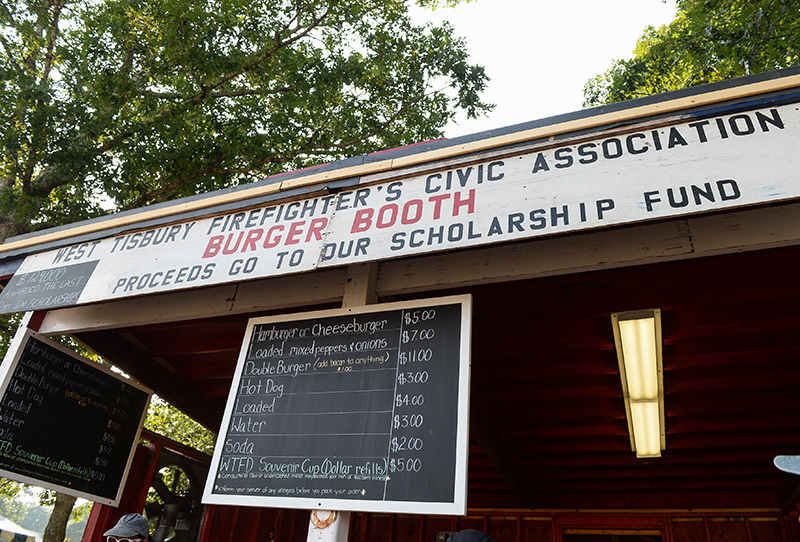 For generations the Fireman’s Burger has been the ne plus ultra of fair food. I was greeted by Beth Kramer, the West Tisbury librarian who was volunteering at the booth. She was effusive in her praise: “The Fireman’s Burger is the best burger at the fair … no, the best burger in Dukes County … no, the best burger in THE UNIVERSE!” The best in the universe … maybe not, but let’s just say that it gets big bonus points for the fact that all proceeds from the booth go toward scholarships for West Tisbury kids. 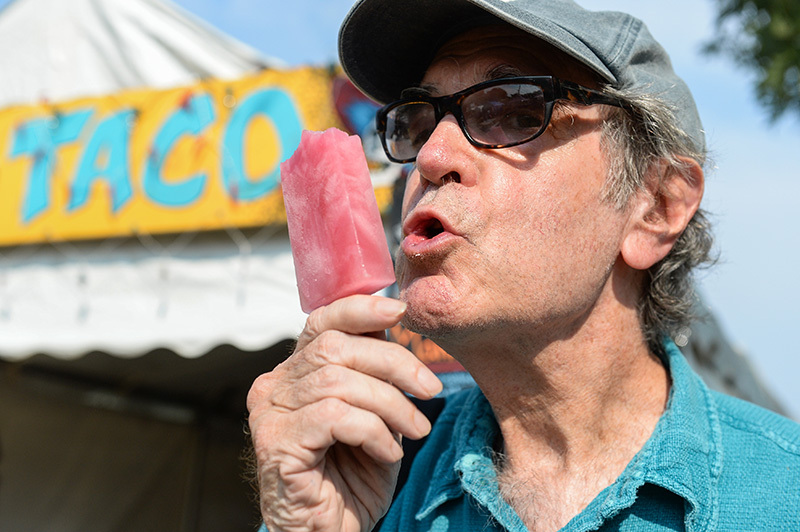 Admittedly a cheeseburger, chowder, a rack of ribs, and a Popcycle popsicle had taken the edge off my appetite, but I had a Loco Taco taco last year, and I was ready for another. 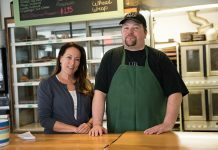 Loco Taco is the creation of local celebrity chef Josh Aronie. Josh’s wife Angela was manning the booth, and I asked her what I should go with. She was quick to recommend the skirt steak taco, two for $14. 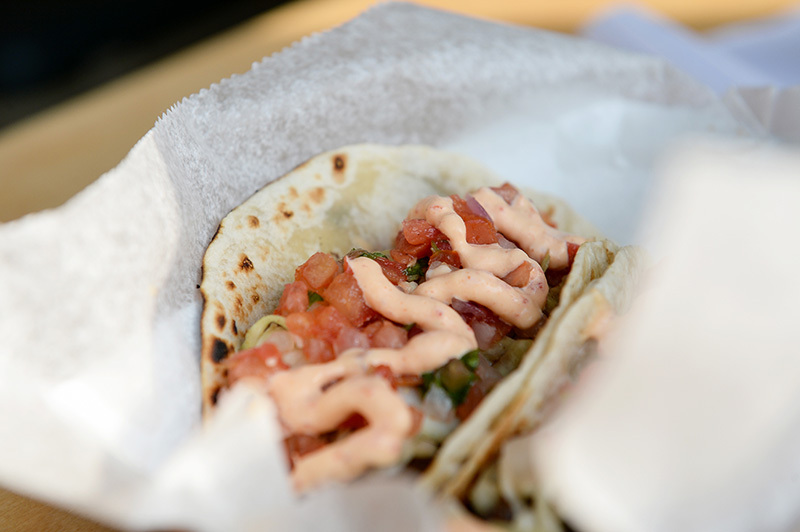 “The secret is the sauce,” she said; “there are 15 different ingredients.” I immediately sat down at a picnic bench and dug in — I was in Loco Taco heaven. After my Loco Taco, I was in need of a little palate cleanser, so I elected to go with a root beer float from Floaters. 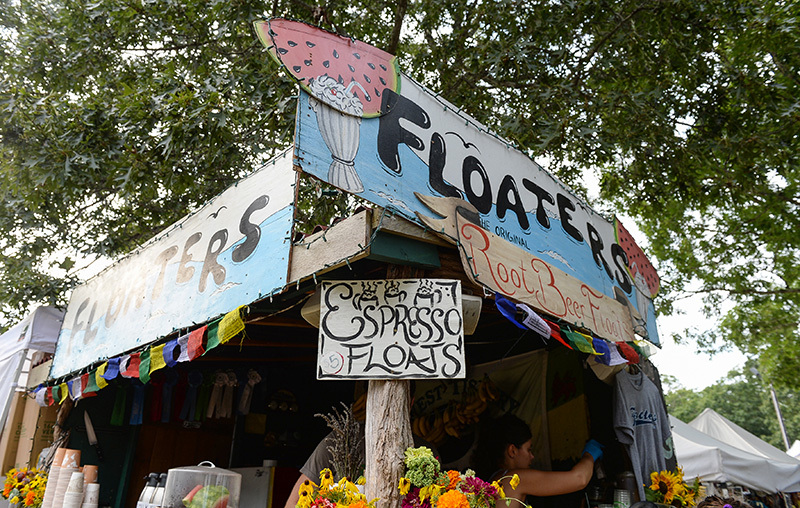 Evan Hammond, one of the co-owners of Floaters, said that they have been at the fair since 2009 providing their signature root beer floats to thirsty fairgoers. 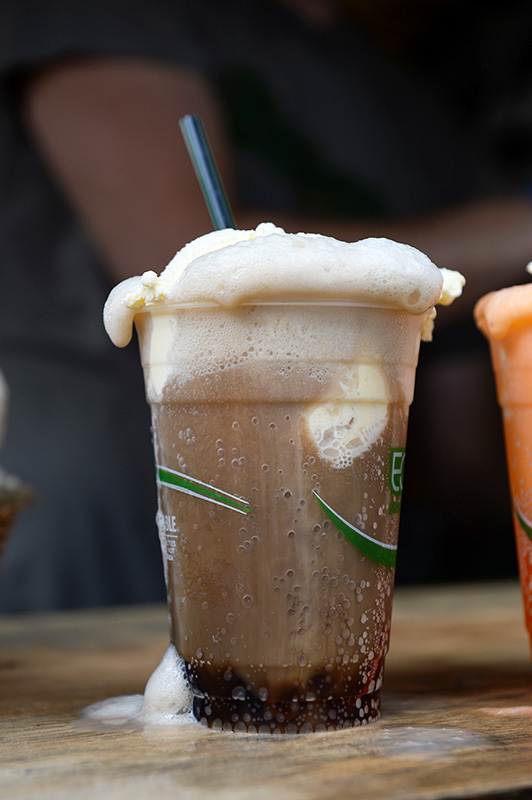 And just between us gourmets, I’ve long considered the root beer float nature’s most perfect food. I particularly like the part where the ice cream and the root beer smoosh together in creamy root beery magnificence. I didn’t try it, but Evan told me they also do an espresso float that will knock your socks off. At last, now for dessert. I opted for strawberry shortcake, and when the name of your booth is Strawberry Shortcake, you do create a certain high expectation. 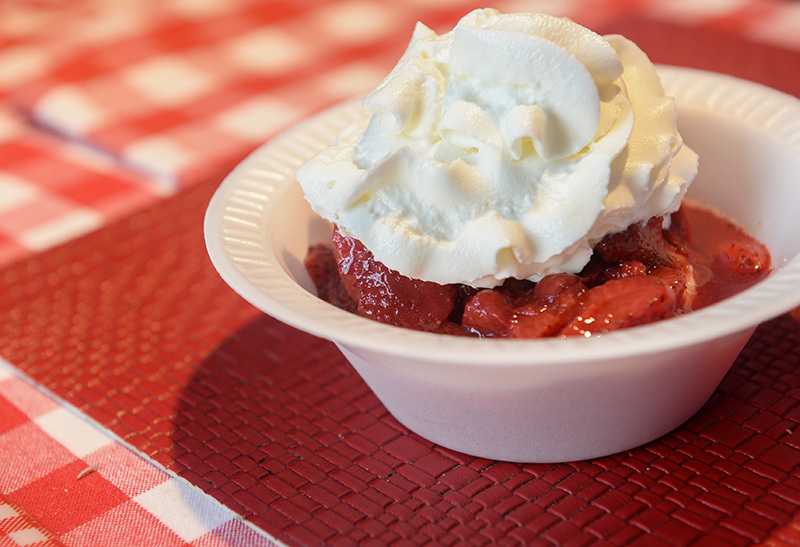 My strawberry shortcake, $6 lived up to the hype, and it’s not just me saying so — they were awarded the the best booth at the fair last year, and that was the second time they’ve won that honor. So all in all, I gave it my best shot. By my count there were 18 different food concessions at the fair this year. I managed to hit about half of them in around an hour and a half. I’m no Kobayashi, but I think i did all right. There was one booth called 1 Tomato 2 Tomato which I really wanted to go to — I’d heard good things about their tomato sandwiches — but try as I might, I couldn’t find it. I’m sure you’re dying to know: What was my favorite? 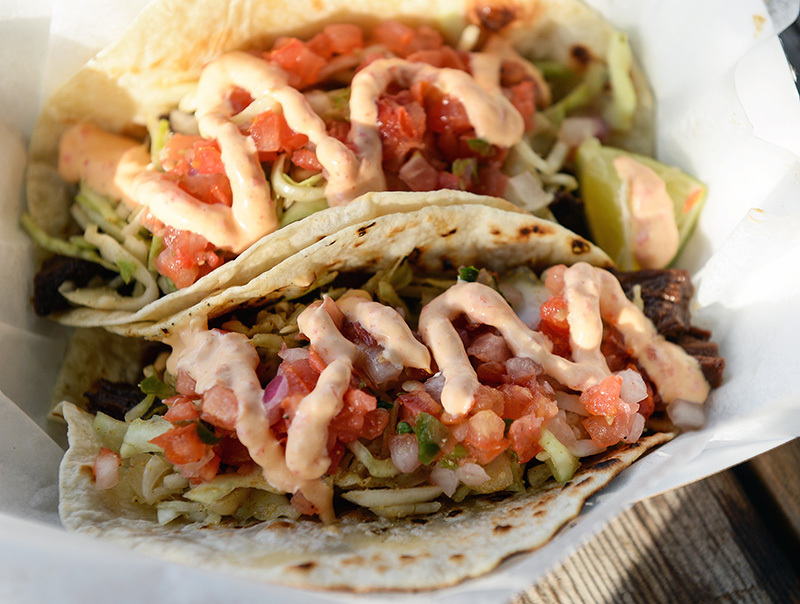 It was close; the ribs were delicious, but when it came right down to it, Loco Taco gets my vote: Josh Aronie’s marinated skirt steak tacos in a 15-ingredient sauce with roasted red pepper crème fraîche, cumin slaw, and pico de gallo. If I wasn’t so stuffed I’d have gone back for seconds. 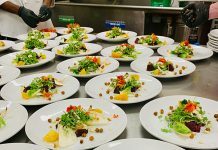 It’s nice to see you’ve got your appetite back Geoff!